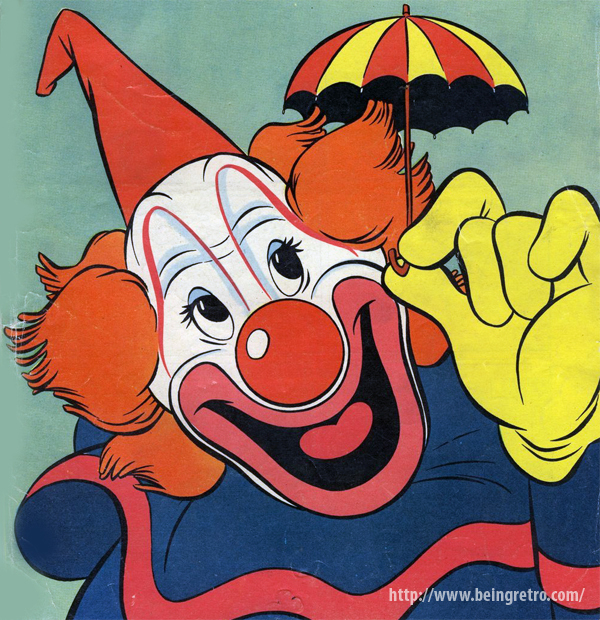 Even happy clowns are creepy. clowns are scary... please hug me! Why are clowns in so many nightmares? Frightening creatures! Clowns get a bad rap! I like pictures and figurines of clowns. I even have some friends who are clowns (and I mean for real working clowns!). Although I will admit that some clowns are kind of weird and creepy. My mother used to love clowns. I used to enjoy watching them at the circus as a kid. I don't know why they are used as frighteners, to me they were always funny. I don't like clowns much..they are kind of scary. It's a MURDER of Crows Along the TOMB! Do You Want to Find Hell With Me? DON'T BE SUCH A BIG PUSS! Drink It Up, Don't Get To GREEN! HEY YOU, IT'S THAT LUCKY DAY! LOVE IS IN THE AIR, WELL I THINK IT'S LOVE? Let's not Fight and MAKE UP!